The Nobel Peace Center presents Alfred Nobel, the Nobel Peace Prize laureates and their work. The Center offers permanent and temporary exhibitions providing insight into topics such as war, peace and conflict resolution. 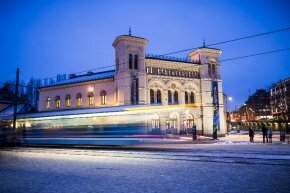 The Nobel Peace Center has placed great emphasis on documentary photography, presenting established international as well as promising Norwegian photographers. It also offers a broad educational programme, guided tours and a varied programme of events and debates to invite reflection and involvement. Since the opening in 2005, the Nobel Peace Center has welcomed more than 775,000 visitors. The Tanzanian-born British architect David Adjaye was selected to develop and design the Nobel Peace Center in 2002. In close cooperation with David Adjaye, David Small of Small Design Firm combined his technological skills to create a high-tech experience centre. The Nobel Peace Center was officially opened by HRH King Harald on 11 June 2005, with the royal families of Norway and Sweden attending. 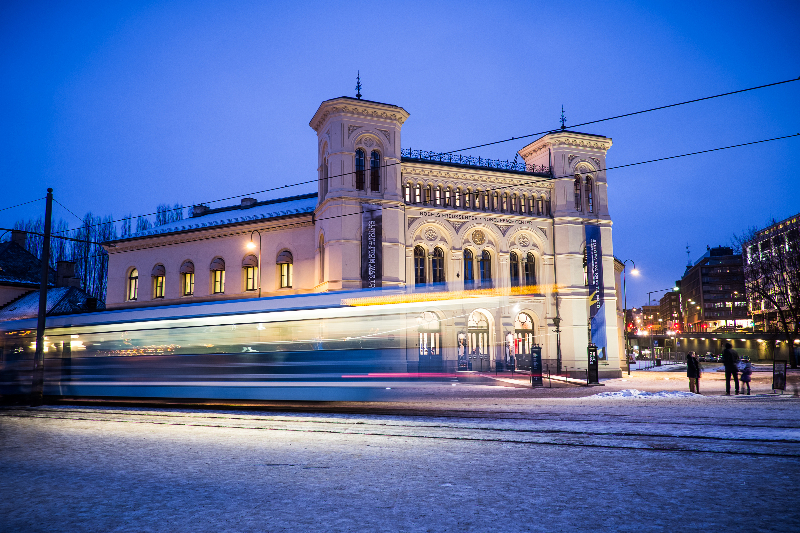 Situated by the harbour in downtown Oslo, the Nobel Peace Center is housed in the former railway station built in 1872. The Center is located close to Oslo City Hall, where the Nobel Peace Prize award ceremony takes place.